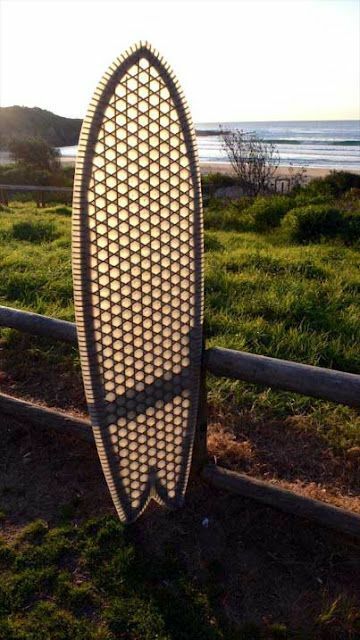 We are a small group of people who make surfboards with the school laser cutter. We don't have any in stock right now but can make one if ordered by people. We think that this board is actually better than normal surfboards because it is all recycled cardboard and not foam which can harm the environment. The board was glassed professionally by Rob Dreher at RD Surfcraft. We are open to offers.